Happy Games zeigen auf Facebook neue Previews für Eden. Thank you to them because they give life to our ideas and do not hesitate to keep an eye on the Mohand Art facebook if you want to see the sculpture of this Figurine! We are always preparing surprises for our crowdfunding, so here is the LAB 35 – B.O.R.G! Coming from the Belarus LAB, this starter will be available in limited edition for our next financing! These three profiles will be equivalent to the profiles of Gray Daimyo, Blue Rikishi and Carmine Ronin! This choice allows us to propose new designs without the risk of unbalancing the game due to a lack of test time! 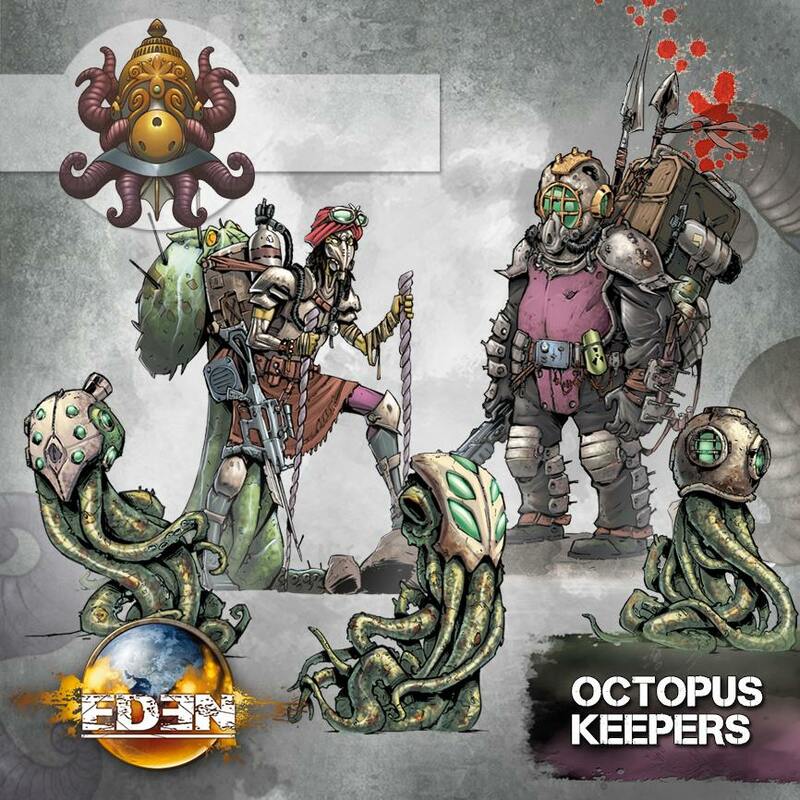 So we reveal more and more previously unknown areas of the universe of Eden!